It is my pleasure to announce I am hosting Weekend Herb Blogging this week. If you would like to join this culinary feast this week, please email me your name, name of dish, post url, location and photo at saveur11 AT yahoo DOT ca, by Sunday February 6 at 5pm EST. I look forward to seeing what winter feasts we will enjoy this week. Nina from Salt made Neiman Marcus’ Delicate Lemon Squares found in Gourmet (January 1991). Allyson from ReTorte made Molasses Oat Bread found in Canadian Living (November 2010). Theresa from The Food Hunter’s Guide to Cuisine made Chicken baked on a bed of Bread and Swiss Chard from Food & Wine (December 2010). If you’d like to participate another time, email Ivonne with the details about your post that includes a recipe from a magazine. It is as simple as that! Everyone has a favourite granola recipe. Personally, I have tried many recipes, and love to try new ones for variety. 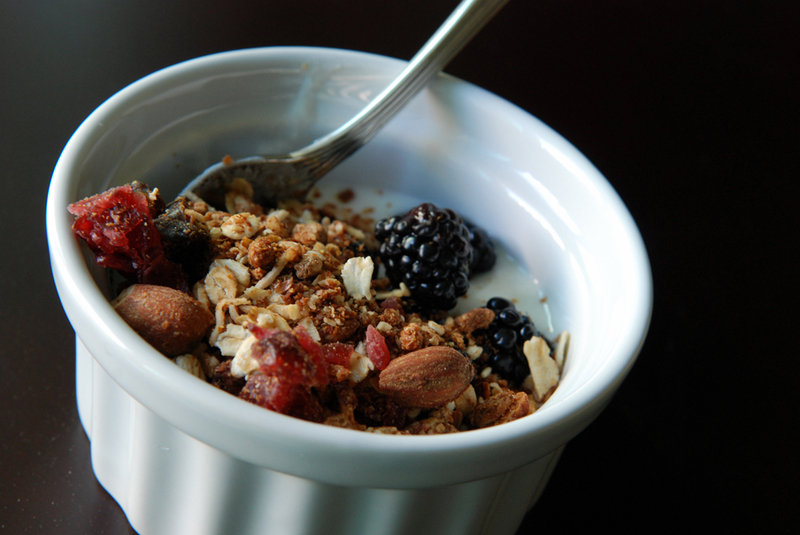 Adapted from The Stop‘s cookbook Good Food For All, I was drawn to Joshna Maharaj‘s healthy granola recipe because it was filled with my favourite fixins – almonds, coconut, cranberries and date with less oil. It also used a lot of wheat germ and All Bran buds. A few years ago, I used to eat All Bran buds all the time with yogurt. It was a quick satisfying snack or dessert. I once chatted with a surgeon who was a strong proponent of All Bran buds and psyllium (the main fiber source on All Bran buds). He was a colorectal surgeon and saw people with constipation and colorectal cancer. He was adamant that we could add All-Bran buds to ANYTHING – even pizza! While I am willing to try many thing, I am not THAT adventurous. 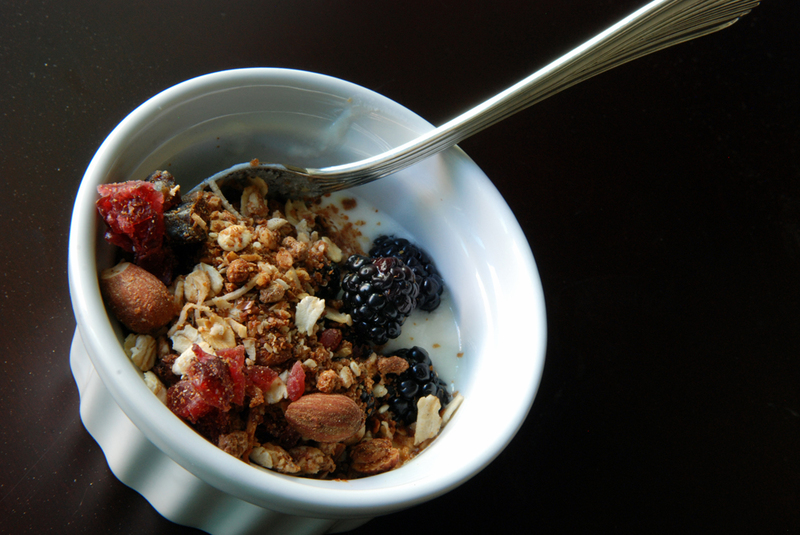 However, adding All Bran buds to granola just makes sense for a healthy, filling breakfast. A note about this granola: it is not incredibly sweet. It does not clump well. But it is tasty and best combined with some fresh fruit and yogurt as a lovely breakfast parfait. This is my submission to this month’s Breakfast Club, featuring breakfasts with yogurt and to this week’s BSI with yogurt. This week, Magazine Mondays is travelling to the Taste Space! 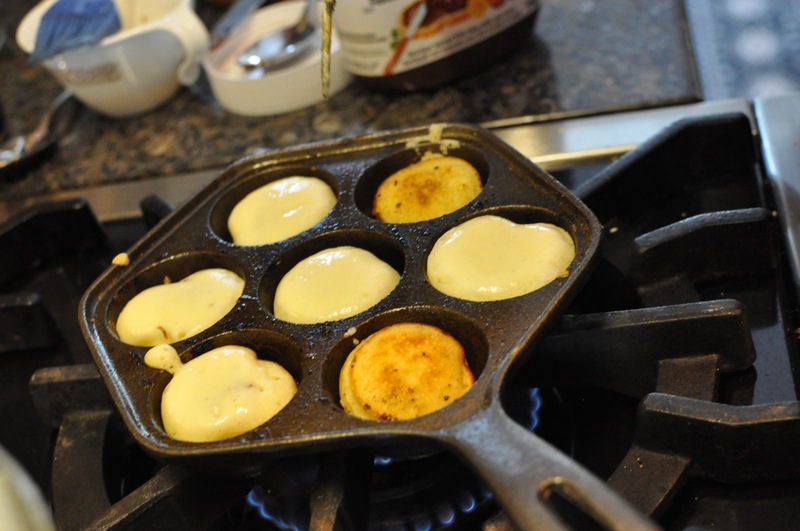 It is an informal weekly blogging event, which rounds-up recipes from magazines you have dusted off. Ivonne at Cream Puffs in Venice usually hosts it, but this week I am glad to help out. 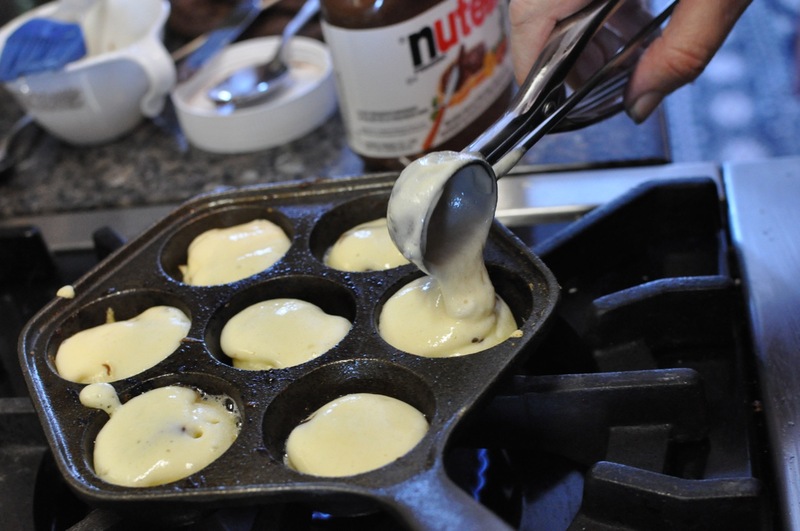 To participate, all you need to do is email me (saveur11 AT yahoo DOT ca) with the following information: your name, blog name and blog url, the url of the link to your Magazine Mondays post, the title of the recipe and the magazine the recipe is from. I’ll accept all emails until Sunday January 23. 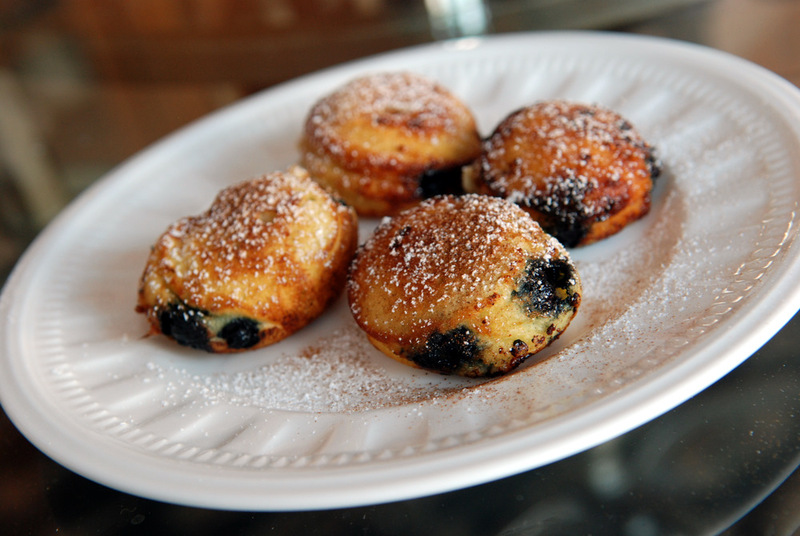 I look forward to seeing which recipes have inspired you! 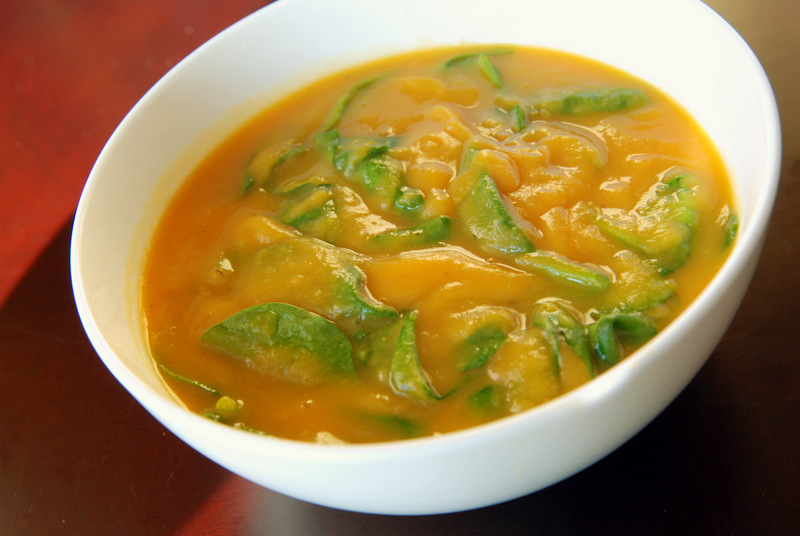 If you ever want to try to make your own recipes, soups and salads are a great place to start. I don’t think you could muck it up too badly. 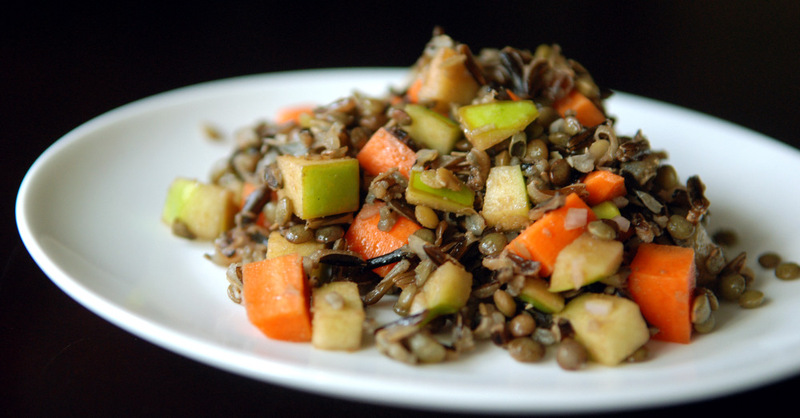 I was inspired by Chocolate & Zucchini’s Apple and Cumin Lentil Salad. I knew I wanted to keep the base flavours the same with the apple, lentils and cumin, but change things around as well. To keep this a filling hearty meal, I added wild rice which had a nutty flavour that complemented the rest of the salad ingredients. The tofu was removed. I added in chopped carrot for crunch and kept the dressing ingredients fresh (Clotilde cooked hers a tad). The dressing was increased because of the larger volume of the salad, but it is not heavy at all. It was fresh, yet hearty at the same time. 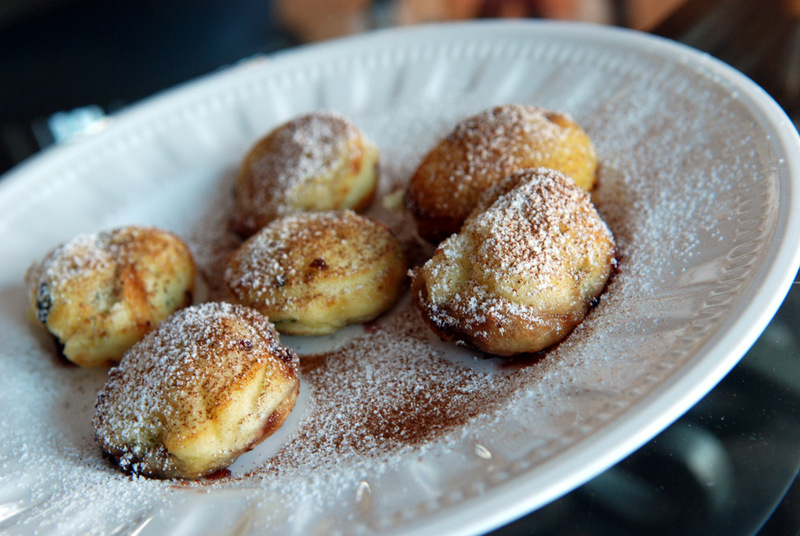 Sweet and savoury with the apple and cumin. Play around with this theme and see what you can create! This is my submission to this month’s No Croutons Required featuring rice, to Deb for this week’s Souper Sundays and to this week’s BSI with cumin. In this electronic age, word of mouth can spread fast. Online feedback is immortalized. While I like to consult reviews, too, I didn’t know authors like to gauge their own success through these reviews. I was surprised (but I guess I shouldn’t have been) when I saw Dreena Burton, author of Eat Drink and Be Vegan, really upset by a recent review on amazon. The primary complaint was that her recipes were criticized for using too many unusual ingredients (tempeh, artichoke hearts, pine nuts, lemongrass, agave nectar, etc). I am so glad my blog doesn’t get judged as harshly – the blogging community is actually VERY supportive. Heck, we actively encourage our readers to try new and unusual ingredients that we have discovered ourselves. I certainly do not purport to be solely cooking from kitchen staples. When I went home over the holidays, I had to figure out what I could still cook in my parents’ kitchen without having to run to the grocery store too often. I know that my armamentarium of ingredients has ballooned since I’ve moved to Toronto and discovered ethnic grocery stores. My favourite ingredients right now include pomegranate molasses, bulgur, lentils du Puy, cardamom, tamarind, and tempeh. Personally, I love it when I find new recipes that use these unique ingredients! I remember flipping through Veganomicon before I moved to Toronto and the recipes didn’t really appeal to me. I agree, all the new ingredients can be intimidating. 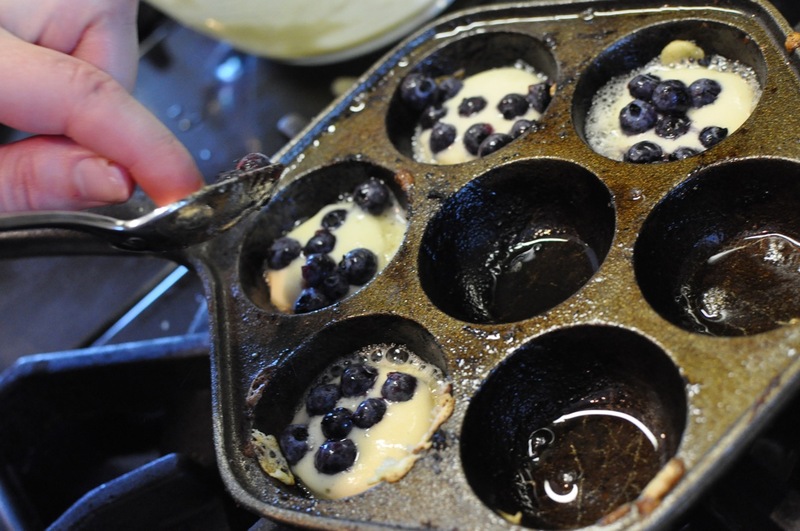 However, when I returned to it recently, my curiosity was caught by many recipes. My favourites so far have been the chickpeas romesco and the tamarind lentils. The recipe is also posted here and I modified it by decreasing the tempeh. Who wants to use one and half packages of tempeh for a recipe? The recipe didn’t mention it, but I used Terry’s tip in Viva Vegan to steam the tempeh with half a cup of water in the microwave. Apparently it removes its bitter taste. However, whenever Rob has prepared tempeh, I have not noticed a bitter taste. 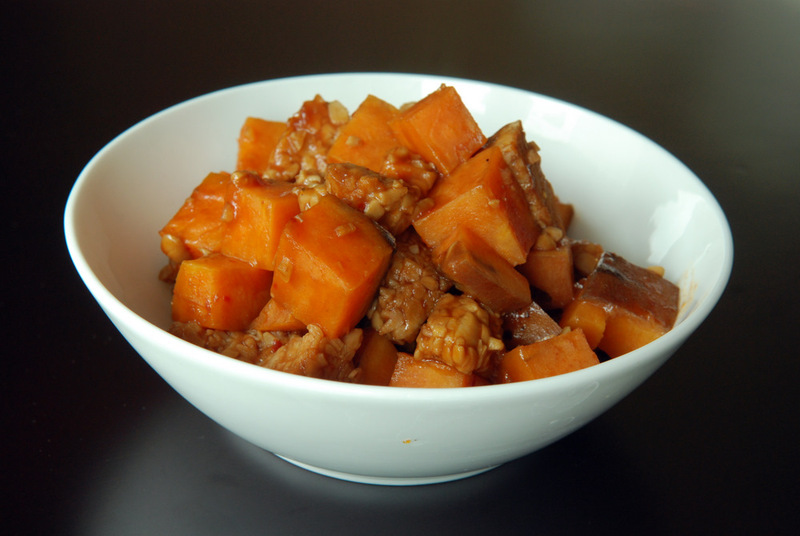 I cut the tempeh into small triangles and used around 600 g of sweet potatoes with the same amount of marinade. I started making this dish in the morning, allowing everything to marinade until I threw it into the oven for an easy, late lunch. I was skeptical the sauce would thicken but it was perfect right out of the oven. It was a smokey barbecue sauce with a strong tangy tamarind flavour. 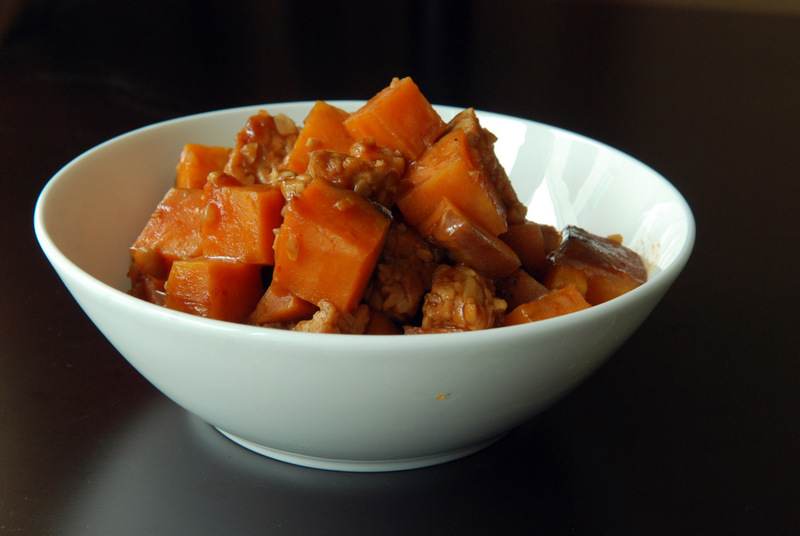 It worked well with the meaty, chewy tempeh and the sweet potatoes. My only complaint, and we’ve had this problem before with tempeh, is that it slurps up the marinade once cooled as leftovers. It still tasted fine for leftovers, but the sauciness was lost. Therefore, it was best the day it was prepared, but still conferred reasonable leftovers. Next time, I may throw in a leafy green like kale, as Susan did here. Sometimes all I want is a nice, big bowl of soup. Something fresh and light yet filling enough for a meal. My belly screams for something simple and nourishing. 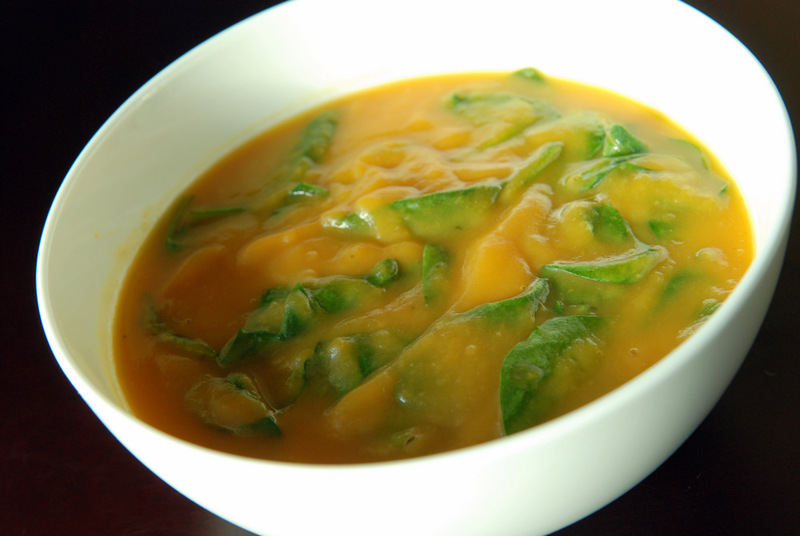 Enter this delightful soup adapted from Orangette. 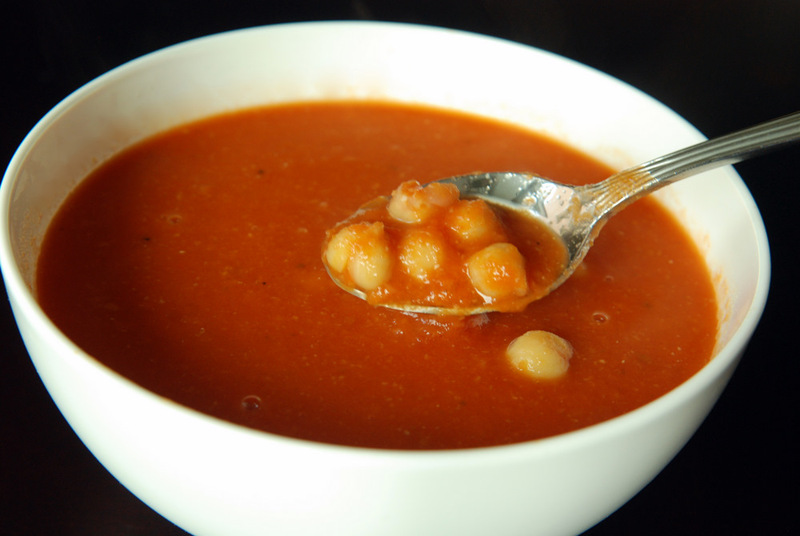 It is a tomato soup at its core, light-tasting with the sprinkle of sugar mellowing the acid from the tomatoes. 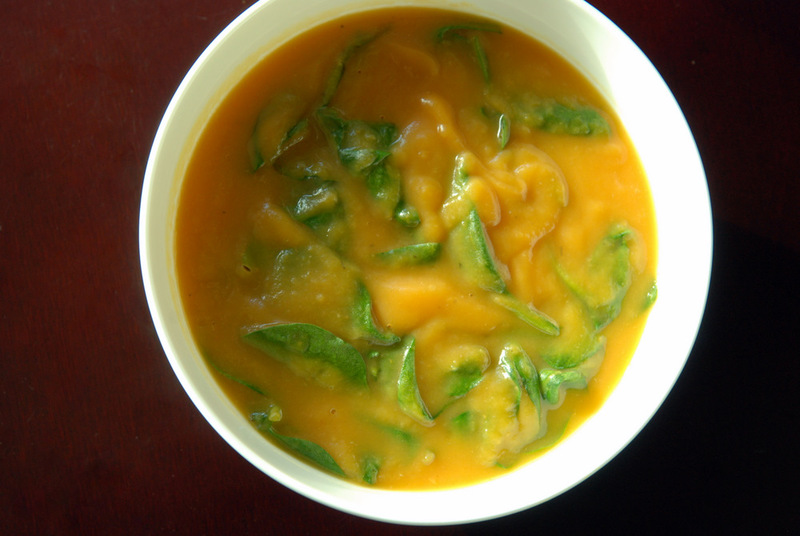 I used less vegetable broth than Molly, but it was the right consistency for me (even still a bit thin for me). The rosemary adds an interesting twist, but is not an overpowering flavour. 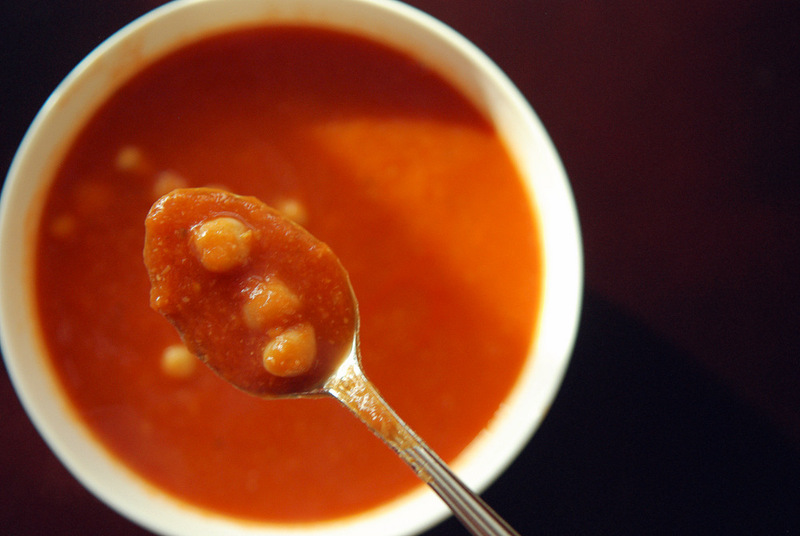 And then you add in chickpeas, which is why this is such a deceivingly hearty soup. Half are pureed, creating bulk for the soup. The other half are left intact for mouth feel. Delicious. I was apprehensive about making this recipe on a weeknight. 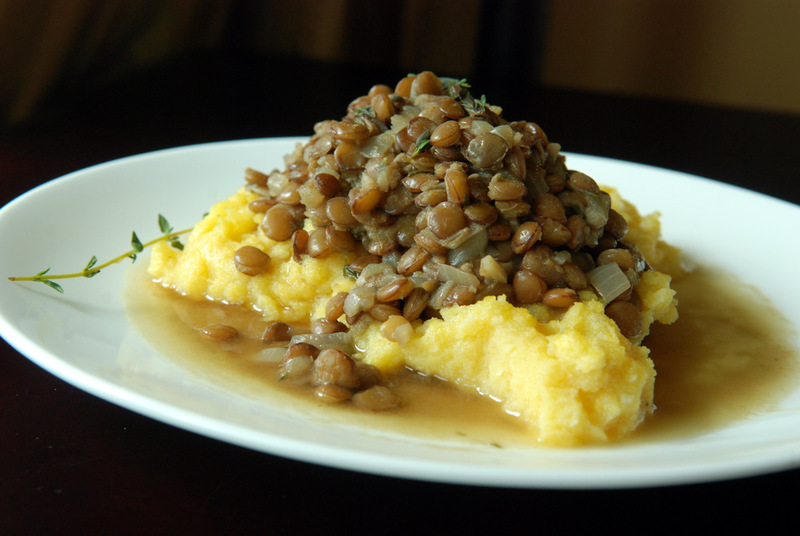 However, when I told Rob about my top three options for dinner, he encouraged me to try the Rosemary Lentils over Polenta from Supermarket Vegan. However, there was one casualty when I cooked mid-week. I thought I was making Rosemary Lentils. A few days later, I realized I had made Thyme Lentils, instead, as I grabbed the wrong herb and my brain didn’t say ‘stop! this isn’t rosemary!’. This also might explain why the flavour was a lot more subtle than I had anticipated. However, it was exactly what I wanted. This was not a flavour explosion; sometimes I need the quiet, too. This meal is great post-holiday indulgences. 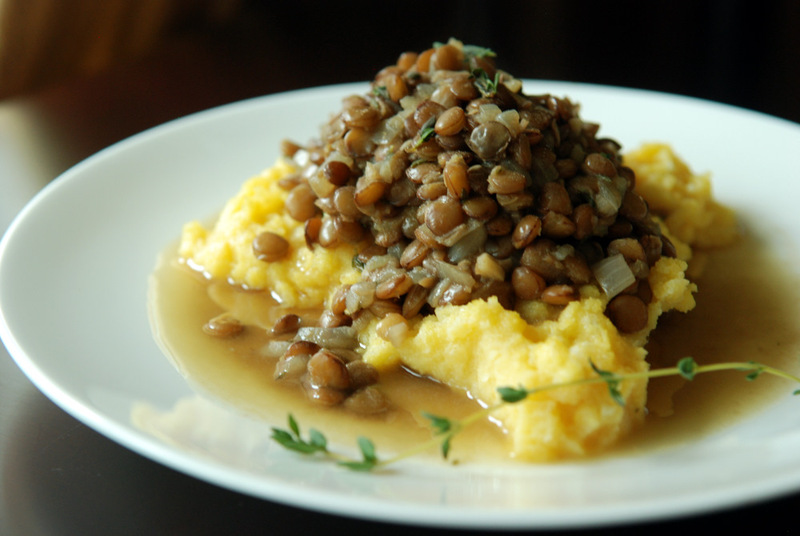 The lentils are light and fresh and the polenta is hearty and offers a nice balance. The leftovers were great with a little zap in the microwave, although the lentil stew was less soupy. 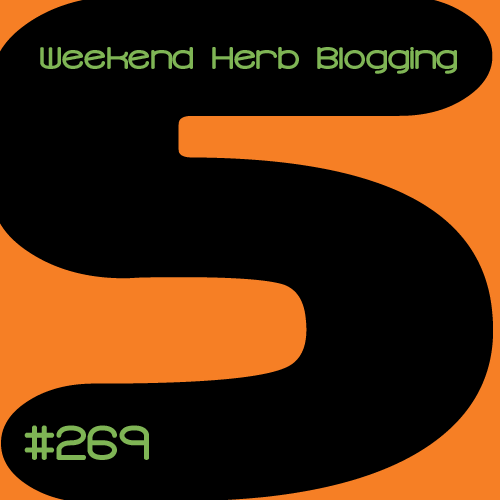 This is my submission to this week’s Weekend Herb Blogging hosted by Haalo from Cook (almost) Anything and Virtual Vegan Linky Potluck. I went home for the holidays, which among many other things, means I was able to cook a lot! I can try a lot of new recipes when I am feeding 4 people, instead of just me. But before I get to my tasty holiday dishes, allow me to introduce you one from the quasi-archives. This recipe hails back to last May. I spotted the recipe for Tamarind Lentils in Veganomicon, when I borrowed it from the library. I returned the cookbook, but kept the recipe in anticipation of making it soon. While I can bake homemade strudel and Turkish baklava, and cook spaetzle, I still struggle with rice. Rob was very encouraging, and lent me his rice cooker for the project. 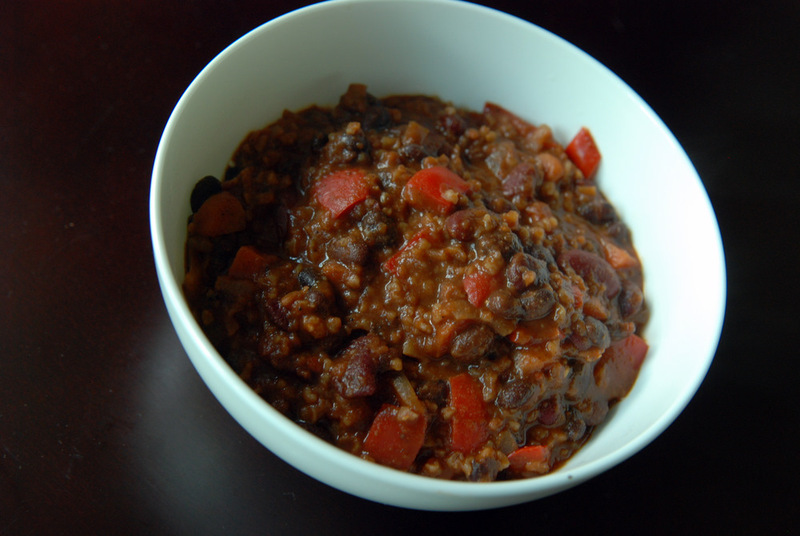 However, this recipe was filled with ingredients that I find in my pantry, so I never had a burning desire to make it. Summer came, with its bountiful produce, and it was pushed to the side. I eventually made another recipe from Veganomicon, Chickpeas Romesco, filled with roasted red peppers, tomatoes and almonds. As I was googling to see if anyone had typed up the recipe before me, I spotted it on Google Books. Low and behold, the Tamarind Lentils and Chickpeas Romesco were on the same page! I giggled to myself, as I still had the rice cooker, months later. 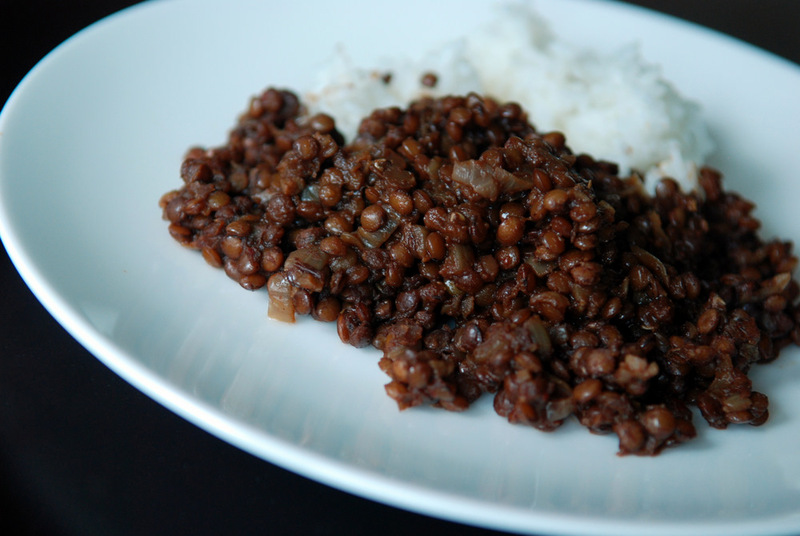 And while I made rice for the Chickpeas Romesco, I hadn’t yet made the Tamarind Lentils. I shared the irony with Rob, the rice cooker-lender. Rob loves tamarind, declared the recipe to be fit for his own kitchen, and stole the rice cooker back! Thankfully, he invited me over to share in the loot – and it was delicious. 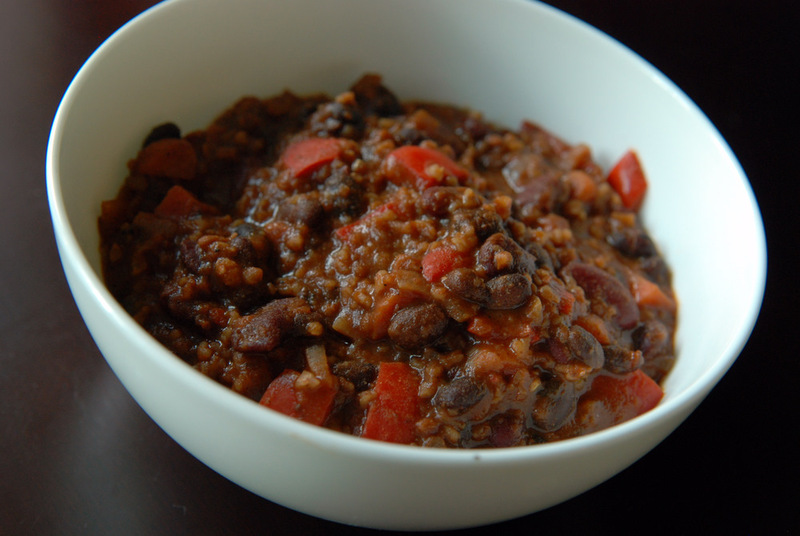 Tangy tamarind with warm and savoury spices coated lentils in a soupy sauce. It was so good, he offered to make it for a potluck I was hosting at my place the following weekend. Because he wanted to serve freshly cooked rice, he brought the rice cooker back to my place. And there it remained for another few months. 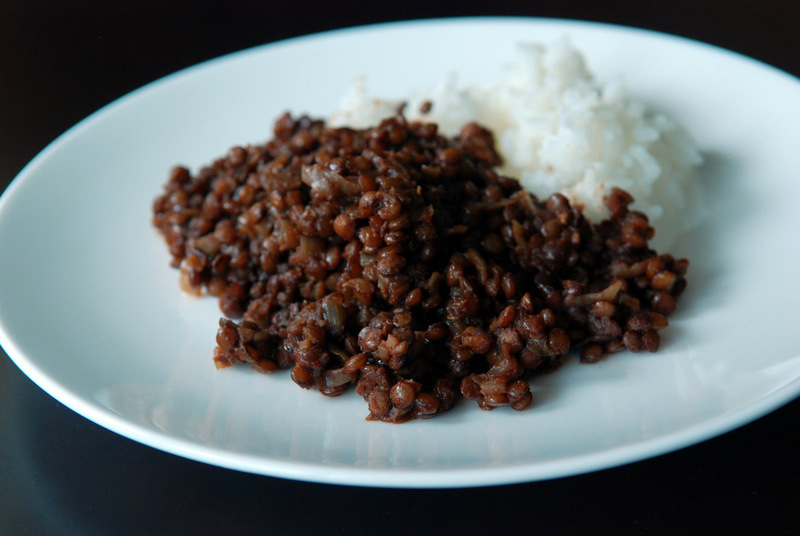 November rolled around and I still have the rice cooker, without having made Tamarind Lentils myself. But lots of rice, mind you. Trust me, Rob knew he could have his rice cooker back at any time. After I lent him 660 Curries, he decided enough was enough. Curries demand rice. And lots of rice demands a rice cooker. He wanted his rice cooker back! 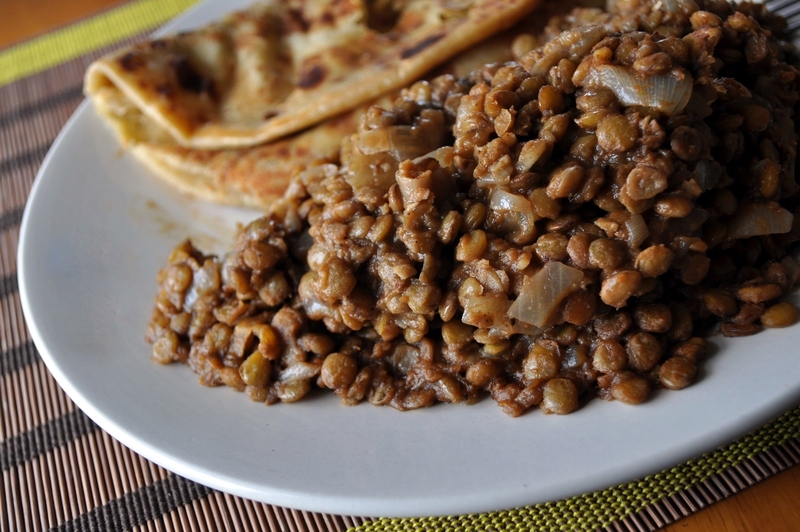 And of course, when I returned from Morocco in December, with a kitchen nearly completely devoid of produce (although lovingly stocked with some leftover soup courtesy of Rob), the first dish I made was tamarind lentils. Without a rice cooker. And while the tamarind lentils were as delicious as I remembered, the rice was not! A bit too soupy/sticky, but palatable nonetheless. Thankfully, Rob has agreed to come over to cook my rice next time. Although, I am still (not so secretly) pining a 3-in-1 rice cooker/pressure cooker/slow cooker. This is my submission Ricki and Kim’s vegan SOS challenge featuring coconut oil, and to this month’s My Legume Love Affair, hosted by Simona. Rob also gets props for taking a better photo (top photo) of the tamarind lentils. 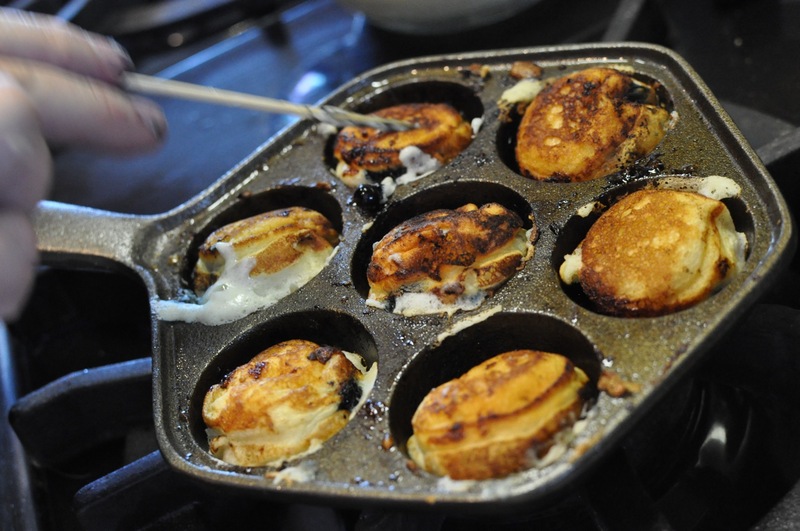 I thought it would be fun to share some of my most memorable dishes from the previous year. Primarily, I picked them based on taste, but ease of prep was also important. I love looking through the archives of food blogs, and this helps focus on recipes that get my two thumbs up. I had a hard time narrowing down the list to my top 10, so I included a few worthy runners-up. In no particular order, here are my picks. Here’s to a healthy and delicious 2011. 🙂 Enjoy! If you have been reading my blog since the summer, I know you have heard of this salad. I still call it “The Best Salad Ever’. 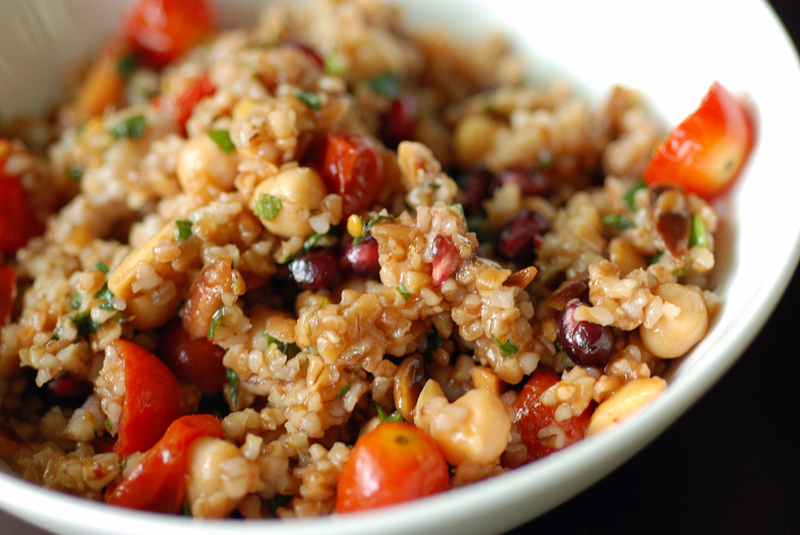 Plump, creamy bulgur is the base of this meal-salad, that is stuffed with oven-roasted cherry tomatoes, chickpeas and pomegranate arils, seasoned with toasted almonds, mint and lemon.